Your course evaluations help us refine courses and improve our curriculum. They're also used as indicators of a given instructor's teaching effectiveness, and are considered in decisions regarding tenure. Your evaluations are completely anonymous, and are not linked to your ID number. Evaluating a course takes roughly five to ten minutes, and we strongly encourage you to help us ensure that our course offerings are as good as we can make them. 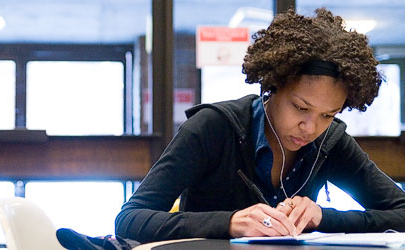 Course evaluations at McGill are submitted through the Mercury online tool. Click here for information about how to use Mercury, and feel free to mercury.info [at] mcgill.ca (e-mail) us with any questions or feedback you may have. For general information about course evaluations at McGill, click here.